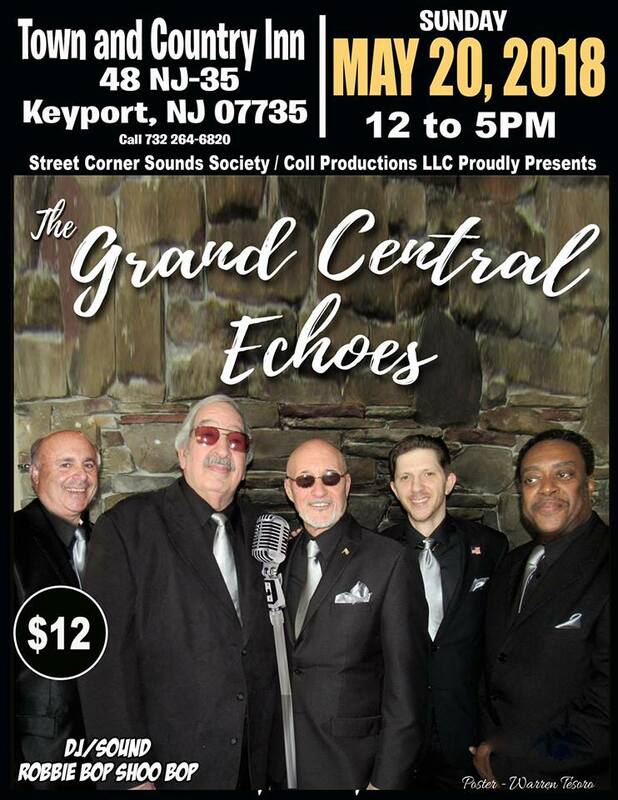 The Street Corner Sound Society and John Coll Productions present the great doo wop group, Grand Central Echoes. It takes place at the Town & Country Inn, 48 Rt 35, Keyport, NJ 07735, on Sunday May 20, 2018 from Noon to 5 PM. Admission is $12 at the door. For info, call 732-264-6820.